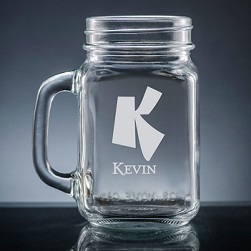 Customize your Iguala Mason Jar with up to three lines of text (all lines equal size) and a selection of 10 popular lettering styles to display your message. The glass mason jar has a sturdy handle, holds 16 ounces of liquid, and is dishwasher-safe. 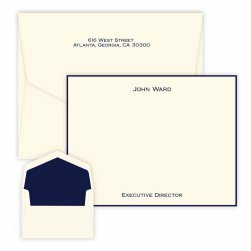 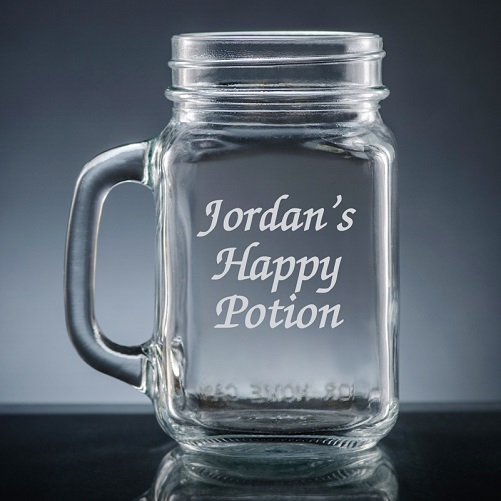 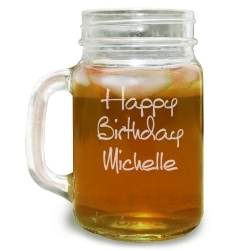 Design your personalized mason jar today.